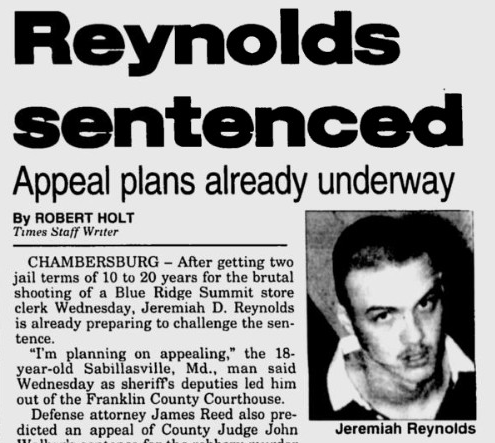 In December 1994, 17-year-old Jeremiah Reynolds from Sabillasville, Maryland robbed a convenience store in Blue Ridge Summit, Pennsylvania and killed the store’s clerk. Jeremiah was homeschooled. His parents are Reverend M. David and Hope Reynolds. His father, a Chaplain at the Joint Base Andrews military facility in Maryland, described him as a kid who “often did good deeds and reached out to help others.” The night before the murder, Jeremiah had an argument with his parents. The argument arose because his parents had taken away his car keys and grounded him on account of “smoking and other behavior.” Jeremiah consequently ran away from home, taking his family’s deer rifle with him. At some point he met up with his accomplice, Clayton Faxon, who attended Catoctin High School in Fredrick County, Maryland. Jeremiah proposed to Clayton that they rob the convenience store in Blue Ridge Summit. At the time, 30-year-old Gretchen C. Groff was working alone in the convenience store in the early morning. Jeremiah and Clayton went to the store and demanded money and Gretchen’s keys. They stole $26 from the store’s cash register as well as cigarettes. They proceeded to torture Gretchen and then shot her in the mouth with a rifle, stole her car, and then later set the car on fire. In May 1995, Jeremiah pled guilty to “third-degree murder and robbery.” In October 1995, he was sentenced to a minimum of 20 years in prison for his role in the murder. His accomplice Clayton was sentenced to life in person for being the one that pulled the gun’s trigger. I knew Jeremiah, he wrote me once from prison, I was advised not to comunicate with him and regret following that. Even broken people need freinds. I wish I could write him now. 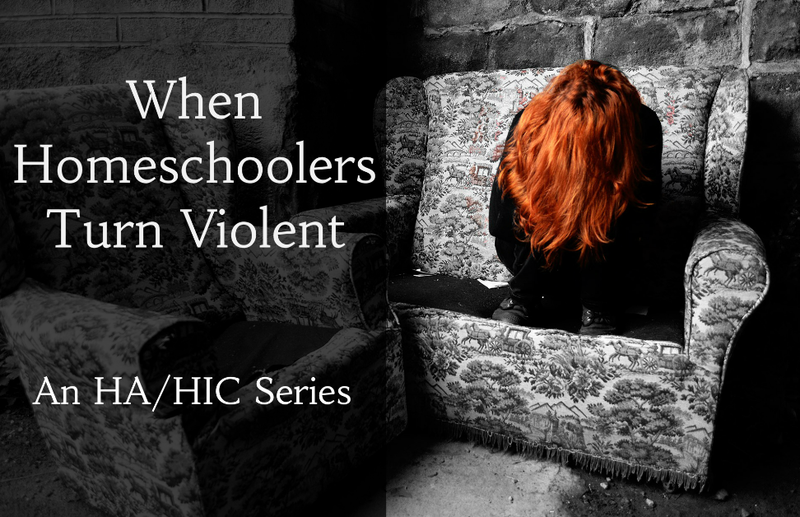 I grew up and now I homeschool my own kids. If you’re going to write an article get the facts correct. The victims name was Gretchen Groff not Gross, Jesus show respect for the victim! Editorial team note: Thank you for pointing this error out. It has been edited to reflect the victim’s correct name. Do u have any info on this case. I think my daughter is seeing this guy. His dad is a reverend in Idaho and he has a huge family. I really need some back ground on his family so i know its actually him. This scumbag deserves to burn.